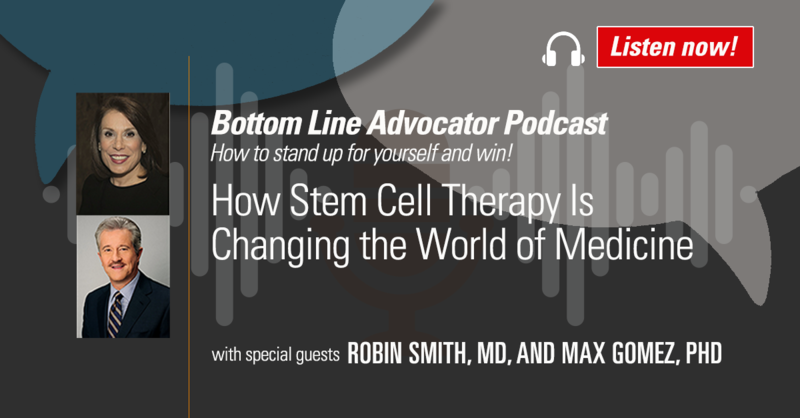 In this episode of The Bottom Line Advocator Podcast, Bottom Line President Sarah Hiner is joined by founder of the Stem Cell For Life Foundation, Dr. Robin Smith, and nine-time Emmy Award–winning broadcast medical journalist Dr. Max Gomez to discuss the “medical miracles” detailed in their book Cells Are the New Cure: The Cutting-Edge Medical Breakthroughs That Are Transforming Our Health. Sarah and the doctors discuss how stem cells are actually curing certain forms of cancer and rebuilding hearts damaged by heart attacks. Learn why the doctors are calling stem cells, “The greatest revolution in medical history” and see if they can help you or a loved one.